Piggybacking off Davido‘s sold out London show at the 02 Arena, which buzzed on social media two weeks ago and has increased his celebrity capital, he was recently a guest on UK’s Channel 4 hosted by Jasmine Dotiwala to discuss his music career, Afrobeats and a future career in Nigerian politics. With a slew of Nigerian entertainers venturing into politics, why not Davido? 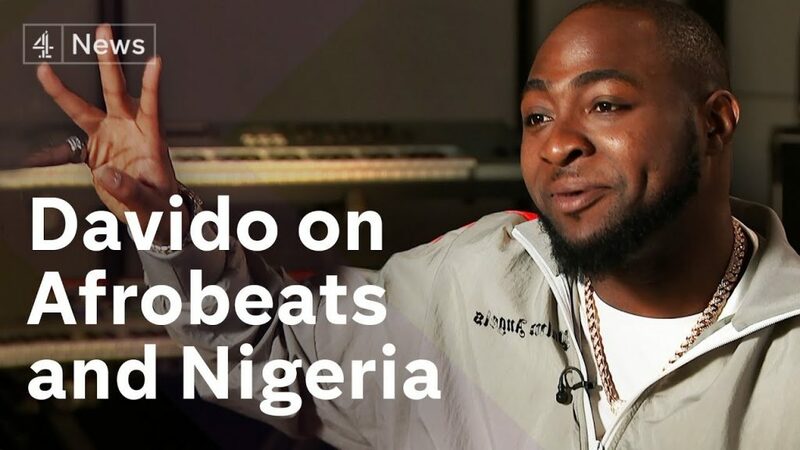 The four-minute interview has Davido talking about the upcoming February elections and his initiative Defend Your Vote, a drive to ensure voters stay back at voting booths to ensure that their votes are counted. That said, politics isn’t on his agenda at the moment. The wave of Afrobeats and how it has gained global traction can be attributed to the current vanguards: Davido, Wizkid, Burna Boy etc. Only recently, Burna Boy secured a spot to perform on Coachella and international shows and concerts are gradually becoming a metric for pop success for these artistes. Here’s the interview below.